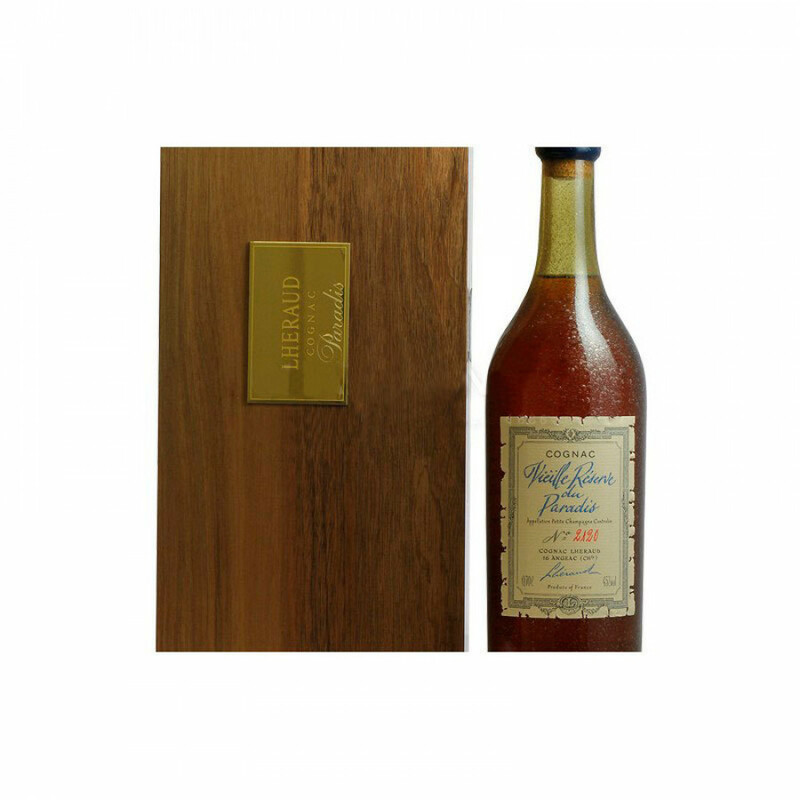 The Lheraud Paradis Antique Cognac is a delightful creation from this innovative Cognac house. It's a powerful blend at 45%. Yet as ever, the genius of Lheraud ensures that the tasting experience is nothing short of sublime: well rounded, balanced, and a joy from the moment you first set eyes on it. As the name suggests, this Cognac is a blend of old eaux-de-vie from the paradis cellar of Lheraud. And, as befits such a quality Cognac, the presentation is also top notch. The traditional style bottle and label - with the bottle number and details - are housed in a lovely wooden box. This makes it an ideal choice as a gift, or a gift for yourself! The color is dark, as one would expect from such an old Cognac, and of course, the finish is long and satisfying. Another great Cognac from the specialist house of Lheraud.